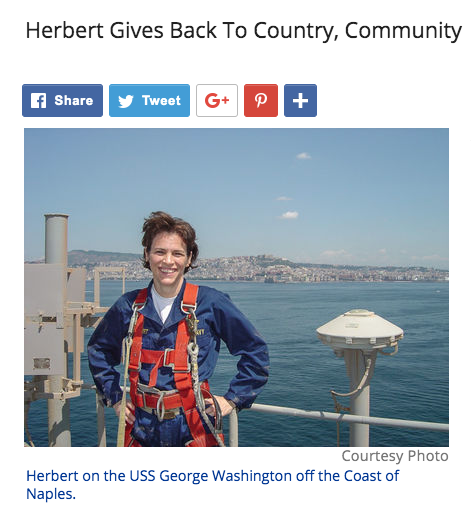 “After 30 years in the Navy, retired Rear Admiral Gretchen Herbert continues giving back to communities with STEM advocacy and community involvement. ...Herbert has continuously been giving back to the community. She is on the advisory council for the National Outdoor Leadership School in Wyoming and from the mid-1990s to 2015 she traveled to different middle schools and high schools to promote STEM and advocate to mostly young women about pursuing a science major when they got to college.